The proposal comes seven months after the city sought bankruptcy court protection in an effort to shed nearly $10 billion in debt. The plan proposes deep cuts in the health care coverage for retirees. And there could be even deeper cuts in what the city is offering to pay banks and other investors holding the city's debt. A summary of the plan on the city's Web site said bondholders would get new securities worth 20% of amount they are still owed. The plan is still a long way from winning approval of the court and makes some assumptions that cash the city does not yet have will be available. For example, it is counting on the city getting more than $800 million from a group of private foundations and the state of Michigan to keep the city's museum from having to sell off its art to pay creditors. And the various cuts are certain to be challenged by the army of lawyers representing the unions, pension funds, investors and other creditors who are parties to the case. "We are greatly disappointed that the plan contains debilitating and unnecessary cuts to ...pension benefits," said Tina Bassett, spokeswoman for the city's pension funds. She said that Detroit "can afford much better treatment to the people who have dedicated years of their lives in service of the city." Kevyn Orr, the emergency manager appointed by the state to oversee city finances, said he came up with the plan after extensive negotiations with all the various creditor groups and bankruptcy court mediators. "There is still much work in front of all of us to continue the recovery from a decades-long downward spiral," he said in a statement. "We must move swiftly to emerge from bankruptcy so that the financial distress harming the city can end. We maintain that the plan provides the best path forward for all parties." 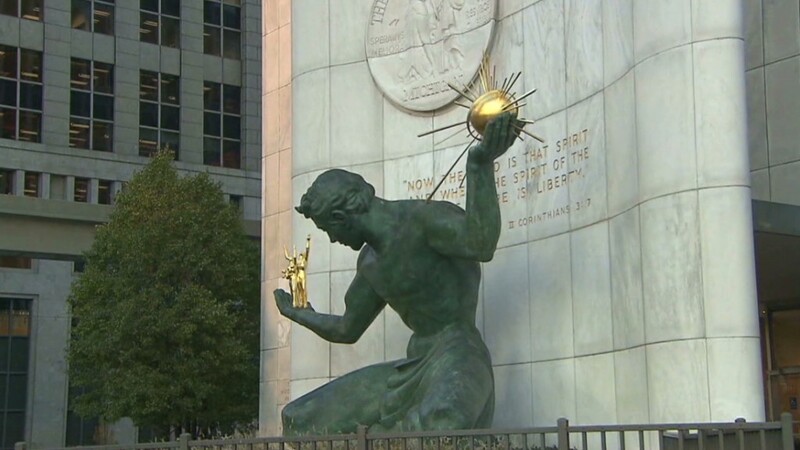 Friday's plan also spells out a plan to invest about $1.5 billion over the next ten years in an effort to improve city services in Detroit, which Orr said is "sorely in need of some reinvestment and reinvention." The city has become one of the most dangerous major cities in the country. Years of population decline and the loss of businesses have left large swaths of the city filled with blighted and abandoned properties. Orr estimated in a news conference Friday that 60% of fire calls in the city are to abandoned structures and 20% of the homes need to be torn down. About a third of the $1.5 billion to be spent on city services will go to tearing down abandoned structures. There are 33,000 city workers, retirees and surviving spouses covered by the city's various pension plans. 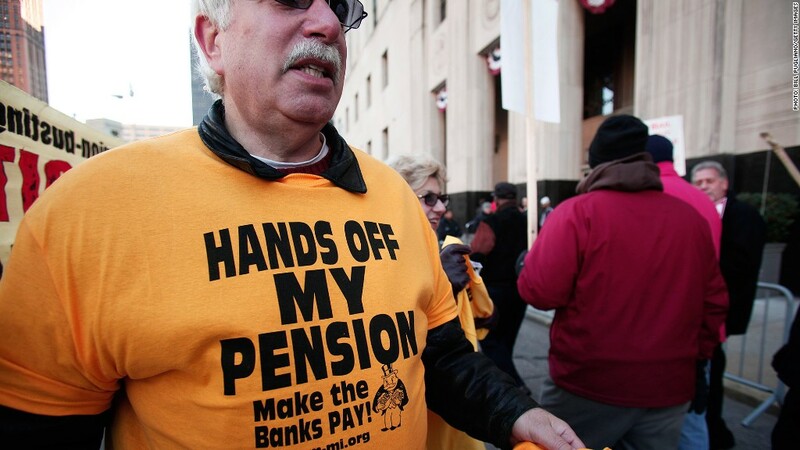 The 34% pension cut would be on general city employees and retirees from most departments. Police and fire fighters have a separate pension fund whose financial condition is not as bad, facing 10% cuts in their benefits. Orr also held out hope that the various parties, such as pension plans and unions, will reach an agreement with the city on the level of cuts. His plan offers reduced cuts -- only 4% for police and fire pensions and 26% for other retirees, if they reach such a deal. But both pension funds will have to agree to the deal for either to have the lower level of cuts. "All of this hinges on a negotiated solution. We need to do that quickly," he said. He said he hopes to have agreements with some of the smaller creditors announced in the coming days. The city filed for bankruptcy court protection on July 18, making it the largest U.S. city to ever make such a filing.